Ultherapy® is an effective ultrasound device used to tighten the skin of the face on the market and was the first and only FDA-approved non-invasive ultrasound device used for lifting of the face, chin, neck and eyebrows. This non-surgical ultrasound treatment helps to remove 5 to 10 years from your appearance as it lifts and tones the skin. Ultherapy® rejuvenates the skin and strengthens its natural collagen, opening the eyes, lifting the brow, defining the jaw, and tightening the neck for an overall appearance of youthfulness and health. Because this is a non-surgical procedure, there is no downtime or recovery period required, and you will see the results over the months that follow. 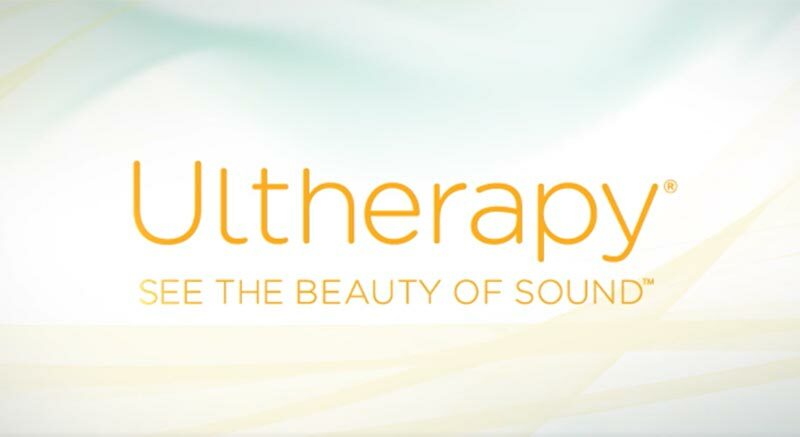 Ultherapy® is the only ultrasound energy-based device cleared by the FDA for cosmetic procedures. Unlike lasers, Ultherapy® does not simply improve the outer, superficial layers of the skin. It is a full-scale non-surgical ultrasound treatment that addresses the deep layers of the skin in the face and neck. Like cosmetic surgery, Ulthera addresses the foundational skin layer that lends support to the face and Dr. Jacono uses his unique and extensive knowledge of the face and neck to help deliver the best results for this non-surgical facelift approach. Dr. Jacono also likes to combine Ultherapy treatments with a facial injectable called Sculptra. When combined, these two treatments help to make up his non-surgical face lift. The reason this combination works for his patients is that both Sculptra and Ultherapy work below the surface to stimulate collagen to restore volume to your face and tighten the skin. How does the Ultherapy® process work? The treatment itself involves cleansing the skin, identifying treatment areas, and then applying an ultrasound gel. Once that is done, Dr. Jacono will use the smooth applicator directly on the skin of the treatment area. At this point, the ultrasound imaging will be used to look deep within the layers of your skin to determine where to apply the treatment for the most optimal results. Dr. Jacono will then deliver ultrasound energy below the skin’s surface, and patients will feel tiny bits of energy within the treatment areas. This feeling is the initiation of the collagen-building process sparked by Ultherapy®. You can go back to work, school, or play right away after your treatment; there is no need for recovery time. Over the next few weeks and months, the rejuvenation process will become visible on your skin as it lifts and changes, becoming more toned as it continues to rebuild your collagen. Am I a Good Ultherapy® Candidate? As a non-surgical procedure, Ultherapy® does not duplicate the results of a surgical facelift. However, for those who are not ready for surgery or who are looking for an intensive rejuvenation process to look their best with the earliest signs of sagging skin, Ultherapy® produces meaningful and effective results. For patients who want to get in front of the aging process, or for those who want to try the most cutting-edge treatments in non-surgical cosmetic improvement, Ultherapy® can be an excellent choice. Before treatment begins, the first step in determining if Ultherapy® is right for you is to make an appointment for a consultation. You can call Dr. Jacono’s office at 516-773-2424 or contact us via the web to set up an appointment to discuss this innovative procedure and whether it is right for you. Ultherapy is the only non-invasive procedure that is FDA-cleared to lift the skin on the neck, under the chin and on the eyebrows. No, it is a non-invasive procedure, not surgery. Ultherapy uses ultrasound technology instead of light. Ultrasound has been used safely for more than 50 years. A face and neck procedure take 60-90 minutes. You will see the results over a 2-3 month period as your body naturally regenerates collagen. Because you are creating new collagen, the results depend on you and your body’s ability to create the collagen. Some patients may experience slight redness or swelling. There may also be some temporary tenderness, and in some rare instances there may be some slight bruising.